For twenty years, sports have developed, combining free-style, playful use and physical expenses, not in the dedicated spaces, but in urban environment. Nevertheless, specific sites have been created, such as Park skates, which continue to open each day. Made in France, the pogo stick reinvents the traditional jumping stick, spring, foot pegs and a handlebar, which until now allowed children to perform small jumps to a real sport device with very high jumps over 3 meters. The perfect gift for athletes. The new pogo sticks offer a range for adults and children of 35 to 60 kg with the TK8 FUN, and 60 to 100 Kg, with the TK8 BIG AIR. The 2 devices offer multiple possibilities of use. 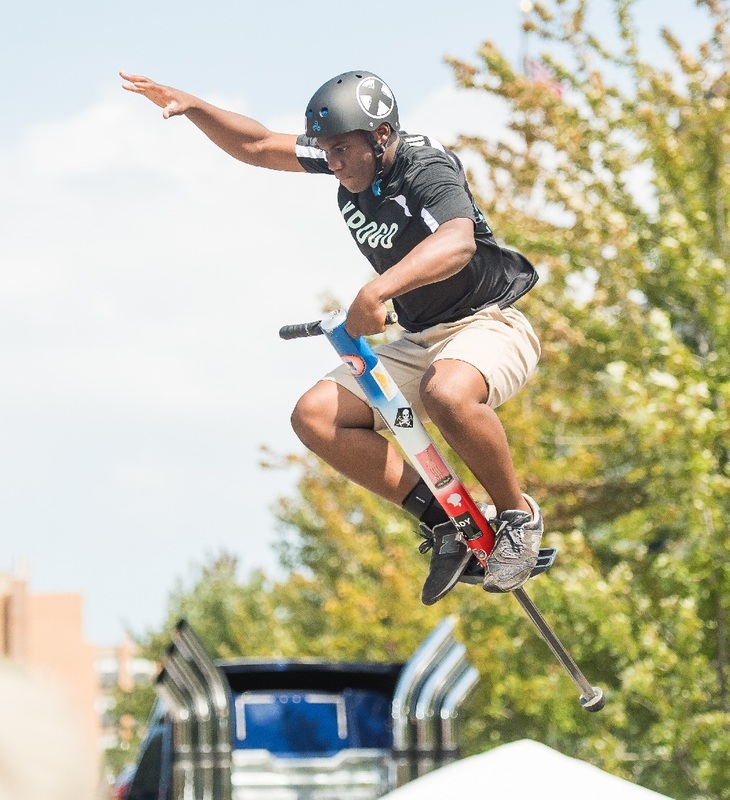 Composed of aluminum used in aeronautics, resistant and reliable materials, the pogo stick brings us into extreme sport playful and adaptable to users. The pogo stick propels you into a new world where you play with gravity. The spring is generated by the compression of air in the cylinder. You choose the pressure, according to your weight and level of use. It allows multiple uses in free style, and can be practiced in many places, right next to you. Above all, it offers opportunities for ever-increasing progression. Daniel Soglo 16 years old: "I'm part of the Team TK8 in Europe and I represent this brand. I am also selected by the company Xpogo, American company to promote this sport around the world"
Tygo 13 years old: "I loved the pogo stick right away and it became a passion! My philosophy is “a few minutes of pogo stick every day and you’ll feel great! "I already found plenty of spots to practice around my home and throughout the city"
No need to wait until 15, to experience sensations! The TK8 FUN allows 10/15 year olds under 60 kg, to take pleasure quickly, making numerous tricks. Clémence, 14 years old : "It was great from the start. I loved it, and it was frankly easy. I'm top in balance! I do it every day or almost, at least a quarter of an hour. I can make new tricks (no hand, no foot, bar spin)". Even if the practice of pogo stick is not risky, it is strongly recommended to wear helmet and protections. - TK8 could be used in skates park or everyehere in the city. You can get great sensations everywhere. - Children and adults can enjoy it! - Use it for fun or for extreme jumps, you choose!